Were you pulled over and subsequently arrested or issued a summons by police for possession of CDS in a motor vehicle? If you were, it is important to speak with an attorney as soon as possible. You have likely been browsing the internet for answers and guidance but the information can often be confusing. Call us to arrange a free consultation. We will answer your questions, discuss your case at length and put your mind at ease. At LS&P Lawyers, our criminal defense and traffic ticket attorneys have decades of experience handling these types of cases. It is important to know that a conviction for possession of CDS in a motor vehicle can have steep consequences you may not have foreseen. 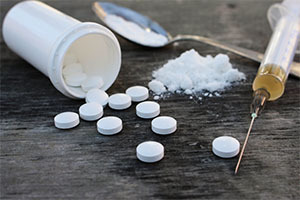 CDS or a controlled dangerous substance can refer to different drugs. However, more often than not it is referring to marijuana. In order to be convicted of possession of CDs in a motor vehicle the state must prove beyond a reasonable doubt that there was operation of a motor vehicle, on a highway (public road), while in knowing possession of CDS that was located on the person of the driver or within the vehicle. Two important aspects of the statute to note are that this statute cannot be violated when the car is parked, it must be driven. However, the State may try to argue that the marijuana was in the car while it was being driven earlier. A second important thing to note is that this statute applies to only the drivers of the vehicle. If a passenger is charged with this offense, the charge will often be dismissed. A conviction for N.J.S.A. 39:4-49.1 carries the potential for serious consequences including fines, fees and a tarnished criminal record. Perhaps the most significant penalty is a mandatory 2-year driver’s license suspension. This means the judge has no discretion to waive this penalty or lessen it. If convicted, you will lose your license for 2 years. It is a common situation that an individual will be charged with violating this statute in conjunction with N.J.S.A. 35:10 possession of marijuana. This could significantly increase the penalties you may face. If you have been accused of violating N.J.S.A. 39:4-49.1 it is important for you to seek the help of an experienced attorney. At LS&P Lawyers our clients are our number one priority and we will fight tirelessly on your behalf. No person shall operate a motor vehicle on any highway while knowingly having in his possession or in the motor vehicle any controlled dangerous substance as classified in Schedules I, II, III, IV and V of the "New Jersey Controlled Dangerous Substances Act," P.L. 1970, c. 226 (C. 24:21-1 et seq.) or any prescription legend drug, unless the person has obtained the substance or drug from, or on a valid written prescription of, a duly licensed physician, veterinarian, dentist or other medical practitioner licensed to write prescriptions intended for the treatment or prevention of disease in man or animals or unless the person possesses a controlled dangerous substance pursuant to a lawful order of a practitioner or lawfully possesses a Schedule V substance.